This month’s online marketing news is focused on improving targeting and creating a better user experience. Additionally, we have tips on everything from wooing your target audience to measuring your content marketing strategy. Bing consumer targeting has become more specific thanks to the addition of demographic data. Bing’s increased targeting features allow advertisers to set targeting rules in their dashboard. As consumer activity continues to become more and more digital, marketers need to evolve and adapt. Columnist Soo Jin Oh shares stats to help you make the case in your company. In an effort to provide users a safer social media environment, Twitter is going to enable users to block multiple unwanted accounts at the same time and share lists of accounts they have blocked. It was announced that Shopify and Facebook are teaming up to launch a ‘Buy’ button that will enable people to buy items found in the news feed without having to leave the world’s top social network. According to the Direct Marketing Association’s newly released “2015 Statistical Fact Book,” four out of five marketers will increase their spends on digital this year and the preponderance of them (45%) will focus on social media marketing as their biggest area of opportunity. Learn how to incorporate an integrated approach to digital marketing that leverages the best of search, social media and content marketing, while dispelling some of the myths that keep integrated efforts apart. Brands are answering the call to create more value for customers and their community by publishing their own news and editorial content. As companies adopt a publisher model of content and media creation, many are surpassing the reach and influence of traditional publications in their industry. 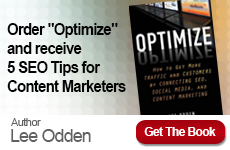 Linking content strategy to results is not always a simple undertaking. 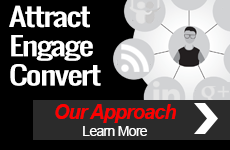 TopRank Marketing along with Content Marketing Institute gathered advice from 13 of today’s top content marketers on how to effectively measure your content marketing initiatives. If you really want to create a lasting relationship with your audience that is mutually beneficial, consider these five B2B social media marketing tips. For many B2B marketers, LinkedIn can prove to be a figurative and literal pot of gold. While there’s no majestic rainbow to show you the way, this post can show you how to incorporate social media advertising as part of your LinkedIn Marketing strategy.